The vehicles in the eleMMent and MMpro series offer mobility tailored to your specific needs, whether you are looking for the comfort of a motor home, a private jet on wheels as a VIP shuttle or an upscale design truck. Precise manufacturing, top-of-the-line materials paired with an unrivalled passion for detail and functionality combine the best of motor-sports, luxury yachting and aviation – a first in the automotive world. 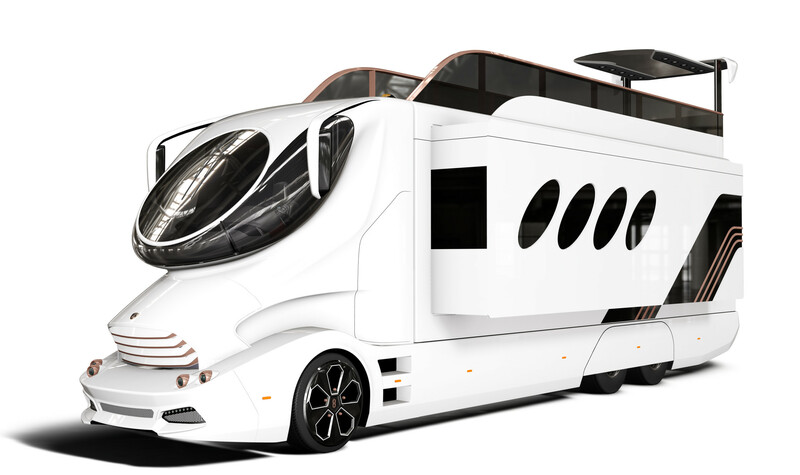 The most luxurious mobile home in the world. The top-of-the-line model offers unbeatable technically innovative and comfort features. 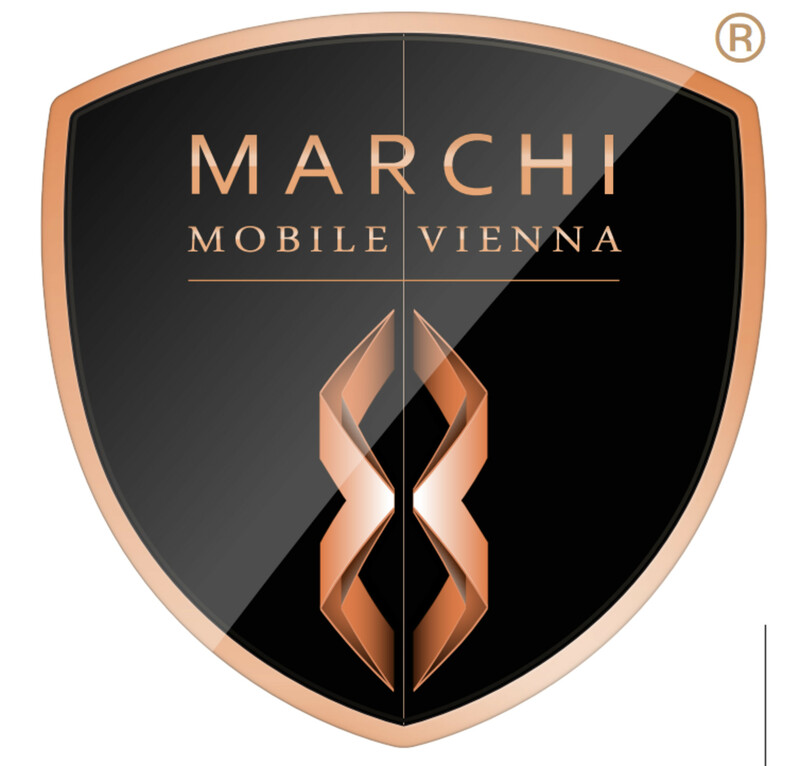 The eleMMent palazzo Superior is our top-of-the-line model that has been recognized in over 190 countries as the most luxurious and, without doubt, the most outstanding motorhome to-date. Its design speaks for itself, combining design features from the worlds of motor-sports, aviation and yachting to create a singular masterpiece. The cab’s striking appearance is ahead of its time and was manufactured with extreme precision using high performance carbon fiber materials. Its sports car design lines and 36-inch rim covers resemble those of the latest race cars. The cockpit features a central digital instrumentation and MMI control inspired by jet cockpits, but functions like a luxury limousine. The panoramic, helicopter-like windshield can be darkened in two stages using an adjustable sun protection system. The body construction emphasizes the strong design statement of the eleMMent series while also offering outstanding functionality and comfort. We have chosen a very complex body construction manufacturing process which exceeds the needs of mobile homes by far. Its self-supporting and incredibly robust structure with a 60+ mm wall thickness provides outstanding stability and an insulation rating comparable to expedition vehicles operated on extreme off-road terrains. However, the design lines remain elegant with integrated yacht windows and fine chrome trim to include indirect lighting. The Sky Lounge is one of the true highlights of the eleMMent palazzo superior. Extraordinary and exclusively reserved for the owner’s outstanding panoramic views, its automatic lift system raises it up out of the body to create a walled-in roof deck. An exterior stairwell leads up to the spacious deck with integrated lounge furniture and radiant floor heating. We focused on the interior design to create a true “home away from home” for owners accustomed to only the highest standards. A specially developed air convection system ensures a comfortable interior temperature and even prevents excess pressurization when sliding out the full-wall room extensions. Different temperature zones can be programmed and a continuous air circulation system ensures the best air quality at all times. The floor plan of the eleMMent palazzo superior will disprove any pre-existing stereotypes of mobile homes. Its purposeful engineering has created a living space that provides maximum comfort for owners and guests. One of the most outstanding features is a 4-meter couch within reach of a bar, a wine cabinet and an icemaker, not to mention a large TV screen across the room. The open kitchenette adds to the spacious interior atmosphere. The bathroom is discretely separated from the living room and master bedroom and can be entered from either without seeming like a passageway between the two rooms. The large master bedroom features a king-size bed, manufactured by the same company that supplies beds to the British royal family and is considered the most comfortable in the world. The fine Italian bed linen is of highest quality. The bedroom furnishings not only provide ample storage capacity but also a dressing table and a large-screen TV. An adjoining spa area provides a private retreat for the owners and features a 1.5 sqm glazed rainfall shower. Also, light therapy, architectural mirrors and special surfaces create a serene atmosphere reserved for the elite few.